One year ago yesterday I wrote about who I believed was primed for a bounce back season in Pinstripes during the 2017 season. After a disastrous first season with the Yankees in 2016, it only made sense that a high-ceiling player like Aaron Hicks could be that guy, and boy, it was sure fun to watch him succeed last year and validate everything I had said about him. Hicks ultimately unseated Jacoby Ellsbury as the starting Center Fielder over the course of the season and even hit a huge home run off AL Cy Young winner Corey Kluber in game two of the ALDS, albeit in an eventual loss. He also dazzled in the field. Hicks missed some time on the Disabled List, being shelved on two separate occasions due to oblique strains, but all-in-all put together a strong bounce back campaign and enters this season atop New York’s depth chart in center. This season, all three players selected qualify under points one or two above. Your 2018 New York Yankees Bounce Back Candidates are Greg Bird, Dellin Betances and Masahiro Tanaka. Greg Bird entered the 2017 season with a ton of promise and even bigger hype after he lit up Grapefruit League pitching last Spring to the tune of a ridiculous .451/.556/1.098 slash line and eight long balls. It appeared Bird was on pace to fulfill the promise he displayed in his 2015 rookie campaign and prove the torn labrum that cost him the entire 2016 season was in the rearview mirror. That is, until a foul ball off his ankle late in Spring Training would cause lingering pain that crippled him to a .100/.250/.200 start to the season with just a single home run. He was eventually placed on the disabled list, required surgery, and wasn’t able to return to the field until the last week of August. Bird, of course, once again showcased his potential down the stretch as well as in the postseason. Upon his return from injury, Bird would finish the season hitting .253/.316/.575 with eight home runs and would provide some dramatic moments in the postseason as well. 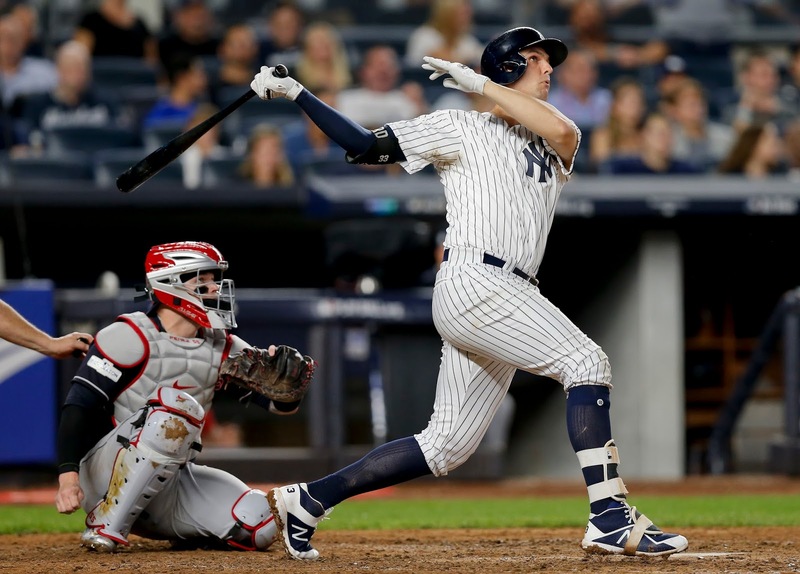 While Yankees fans will most fondly remember the 2017 American League Wild Card game for Didi Gregorius’ game-tying three run home run in the first, Brett Gardner’s go-ahead solo shot in the second, and Aaron Judge’s two-run home run in the fourth, it is Greg Bird who provided the game-winning hit - an RBI single in the bottom of the third that gave the Yankees a 5-4 lead they would never relinquish en route to an 8-4 victory. And of course, who could forget his mammoth solo home run off Andrew Miller in game three of the ALDS that plated the game’s only run and sparked New York’s rally back from down 0-2 in the series. Bird has long been considered one of, if not THE best bat in the organization, and I can’t help but feel that 2018 is the year he is finally able to shake the injury bug and put up big numbers over the course of a full season right in the middle of a loaded New York lineup. Dellin Betances was all over the headlines in the offseason due to his feud with Yankees’ President Randy Levine over an arbitration dispute, one the Yankees eventually won over the right hander. However, the four-time All-Star looked well on his way to another dominating season in 2017 through his first 24 games. Interestingly enough, Dellin’s regression almost exactly lined up with the prolonged slump New York went through starting in late June on a West Coast road trip to Los Angeles and Oakland. 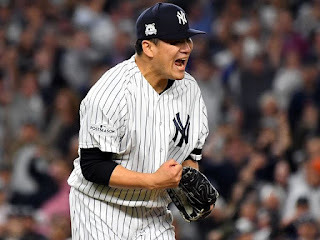 Through his first 24 appearances Betances was lights out, pitching to a 0.40 ERA with 43 strikeouts against just nine hits in 22.2 innings pitched. Opposing batters were hitting just .117 off of him and at this point in the year he was the established closer with Aroldis Chapman just returning from a month on the disabled list. From there, however, it got ugly. Over his next eight games his ERA would shoot up to 3.18 as he allowed nine earned runs and an extremely concerning 12 walks in just 5.2 innings of work. The rest of the season was tumultuous to say the least, and come playoff time, Betances was relegated to a mop up role in the Yankees’ bullpen. 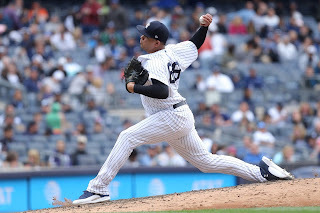 He ended the season with a sturdy 2.87 ERA and his fourth consecutive 100 strikeout season, but the feeling was that he had lost Joe Girardi’s trust, the ability to consistently throw strikes, and even a bit of self confidence. Dellin enters 2018 seeking redemption. 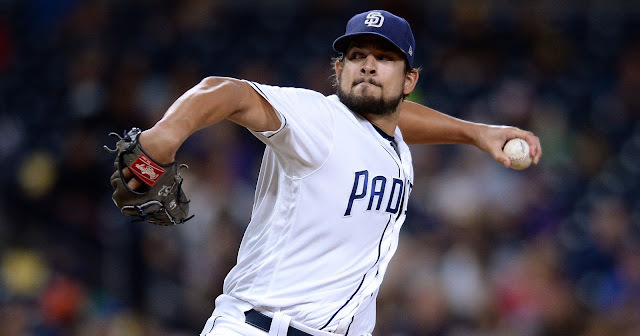 He still has all the tools to be a nasty relief option, but his struggles throwing strikes will be something that is closely monitored this season. When he is on, he’s arguably the best relief pitcher in all of baseball. But when he’s off, it’s catastrophe. Should he regain the form he displayed from 2014 through late 2016 before he assumed the closer role for the first time in the wake of the Miller and Chapman trades, there’s a clear path for Betances to regain a prominent spot atop the bullpen hierarchy behind Chapman. However, should he continue to flounder, he’ll remain low on the totem pole behind David Robertson, Tommy Kahle and, if he’s not moved to the rotation, Chad Green. Finally, we have Masahiro Tanaka, who, like Greg Bird, absolutely dominated Spring Training last year, but failed to translate that same success to the regular season for the majority of the year. He too, however, was able to step up his game in October and leave fans craving for more in 2018. Masahiro Tanaka began the 2017 as the unquestioned ace of an otherwise heavily questioned New York rotation. 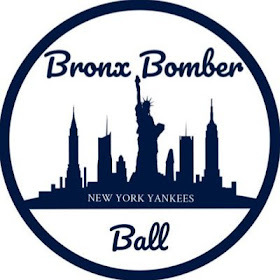 With Luis Severino still an unknown, CC Sabathia on the last year of his deal, a shaky at best Michael Pineda and a five man battle for the final rotation spot which was ultimately won by rookie Jordan Montgomery, Tanaka was supposed to be the rock the Yankees could count on. But of course, Suzyn, you can’t predict baseball. Tanaka baffled every hitter he faced in Spring Training last year, pitching to an impossibly small 0.38 ERA with just a single earned run allowed in 23.2 innings of work while racking up 28 strikeouts. He even started a game in which the Yankees ultimately completed a combined no-hitter (Shreve and Montgomery completed the effort). Tanaka entered the season as an early favorite for the Cy Young award. Everything changed once the calendar flipped to April, however. Tanaka was rocked by the Rays on Opening Day and - save for a few masterful efforts throughout the Summer - looked off just about the whole year. Tanaka finished his worst full season in the bigs with an unsightly 4.74 ERA as well as career highs in BAA (.257). WHIP (1.24) & Home Runs Allowed (35). Tanaka’s longball count of 35 not only was a career worst, it led all of Major League Baseball for a good portion of the season. 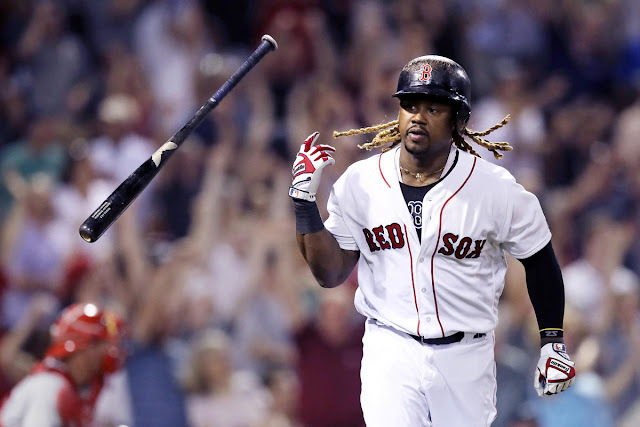 He would finish fourth in the league behind John Lackey of the Cubs (36), Ariel Miranda of the Mariners (37) and 2016 Cy Young winner Rick Porcello of the Red Sox (38). Tanaka’s devastating splitter and his ability to keep hitters off-balanced were on full display in the Postseason as Tanaka out-dueled Cleveland’s Carlos Carrasco in the 1-0 Game 3 ALDS victory, and then conquered Dallas Keuchel in Game 5 of the ALCS against the eventual World Champion Houston Astros. 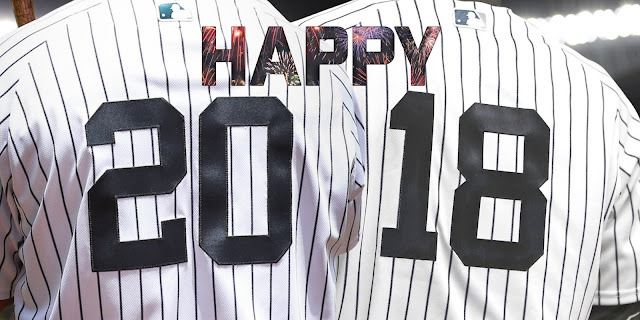 His contract allowed for him to opt-out at the completion of the World Series, but Tanaka chose to remain in pinstripes and finish what this team started last season. He has all the tools in the world to once again rise to the top of the rotational hierarchy, and should we get 2017 Playoff Tanaka in 2018 rather than his regular season form, the Yankees will have arguably the best 1-2 combo in all of baseball. Expect #19 to look like the ace we’ve come to expect of him again next season.